Liverpool edged a point ahead of Manchester City in the Premier League title race, but may yet still rue a missed opportunity after a 0-0 draw with a depleted Manchester United on Sunday. Despite losing three players to injury before half-time, United still enjoyed the better chances as they maintained Ole Gunnar Solskjaer's unbeaten league run since taking caretaker charge. A point, however, is not enough to keep United in the top four as Arsenal's victory over Southampton dropped the Red Devils down to fifth. The only minor criticsm to come Solkjaer's way so far as caretaker boss was his inability to react when Jesse Lingard and Anthony Martial hobbled off injured in the first half of a 2-0 Champions League last 16, first leg defeat to Paris Saint-Germain. This time Solskjaer reorganised United's walking wounded sufficiently to still blunt a Liverpool attack lacking imagination and also hit by a first half injury to Roberto Firmino. Fixtures between England's two most historically successful sides have been littered in recent seasons with stunning saves from David de Gea to leave Liverpool frustrated. Alisson raced off his line to brilliantly save at Lingard's feet with by a distance the best chance of the game just before the break. 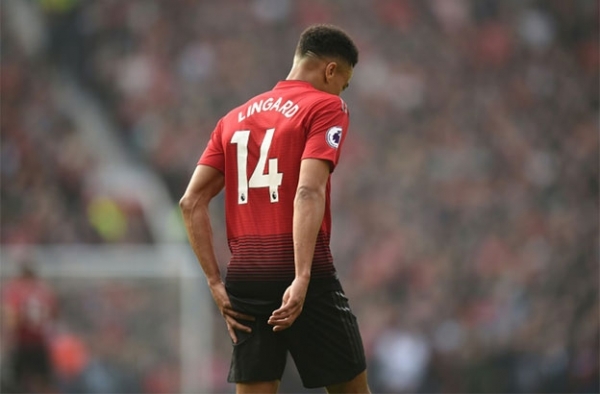 A point away at the in-form team in the Premier League and where Liverpool have not won since 2014 is not a bad result in the grand scheme of things, but this will feel like a missed opportunity for Jurgen Klopp's men given United's injury woes. Form has deserted too many of Klopp's key players at the wrong time, none more so than Mohamed Salah, who was hauled off by his disgruntled manager despite Liverpool needing a goal 11 minutes from time.